Highland Family Dentistry's Business TEAM! Let our team of experienced business staff take care of you! 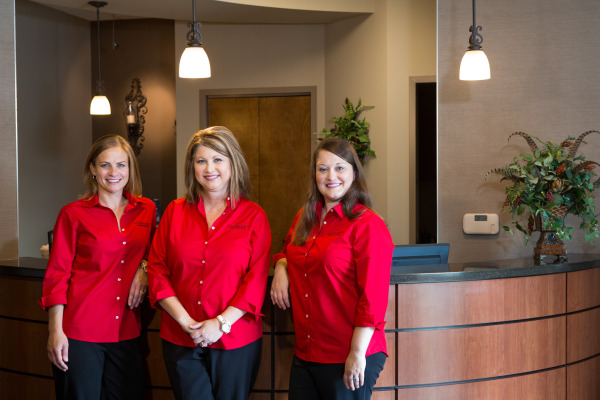 With a combined 40 plus years experience in the field we will go above and beyond to help you maximize your dental benefits, schedule appointments,and making sure you have a great experience! We are here to help you achieve dental wellness.There are many different payment options available at Highland Family Dentistry from cash, check and charge to No Interest payment options. We believe everyone's situation is unique and we will work hard to help you.